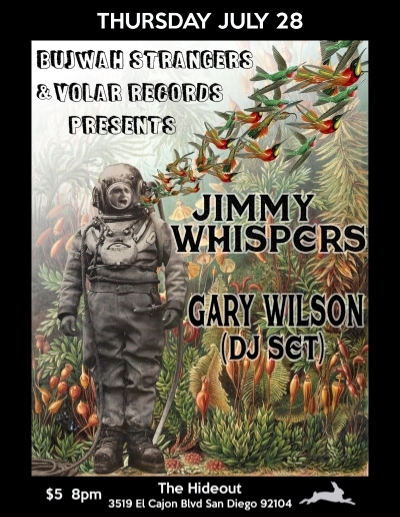 I'm thrilled that Jimmy Whispers will be playing his first San Diego show ever Thursday, July 28, at the Hideout. Entertainment Weekly recently dubbed Whispers "underground pop's next cult leader," and the bold claim isn't hyperbole. Whispers, with his disarming combination off-kilter charm and pop accessibility is the real deal, destined for big things. 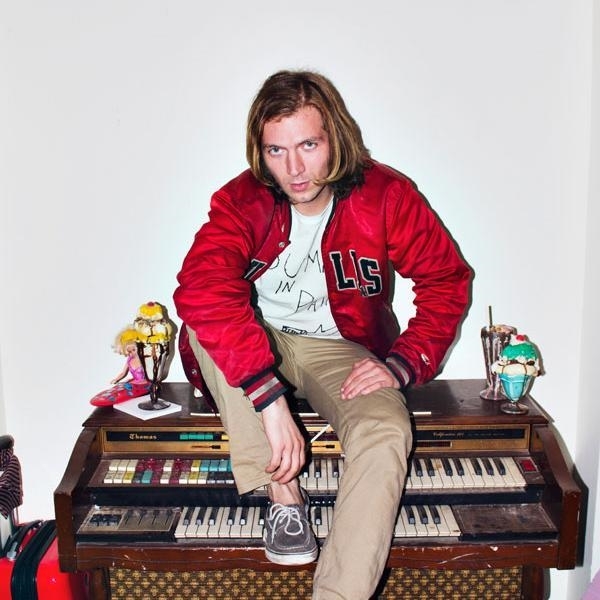 Jimmy Whispers is one of those rare artists whose work somehow compels me to share with colleagues and friends, similar to the musical creations of kindred and illustrious trailblazers like Gary Wilson, R. Stevie Moore, and Jad Fair. And while I am accustomed to my (admittedly left field) music tips falling on deaf ears, Whispers just seems to connect with people, and the response is overwhelmingly positive. On the strength of his unfettered live shows and uncanny knack for turning personal iPhone memos into fleshed out, recorded gems, the Chicago native has already captured the attention of Pitchfork , Stereo Gum, and Noisey. The show on the 28th promises to be one for the San Diego live music history books, and boast the significant added incentive of a rare DJ set by none other than DIY legend Gary Wilson. See you on the 28th, and thanks - as always - for tuning in!